Open the velcro in the seat area or unhook & lift the cover, exposing the LATCH strap. 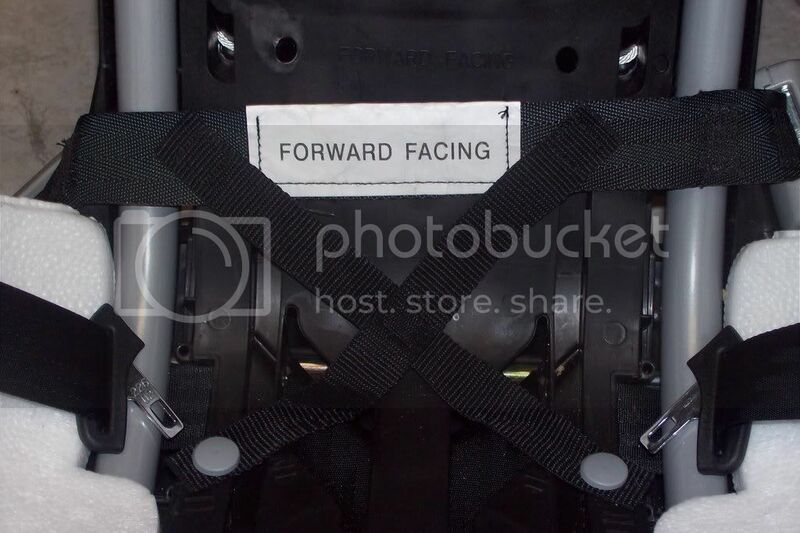 See how it says "Forward facing" on the white tag? We're going to move that strap. Take the RIGHT LATCH connector out of the forward facing belt path, and thread it into the RIGHT side of the rear facing belt path. Take the LEFT LATCH connector out of the forward facing belt path, and thread it into the LEFT side of the rear facing belt path. See how that tag now says, "Rear facing?" That's what you're going for. DO NOT MOVE THE RIGHT CONNECTOR TO THE LEFT SIDE OF THE SEAT. The connectors will not be upside down, because they flip end over end when you switch them. If it doesn't look right, place your hand on the white tag which says, "Forward facing," or "Rear facing," and follow the strap all the way down to the connector to remove any twists. Evenflo also has a video on their website (click the "Installation" tab at the top of the page, then "Installing Forward-facing Using SureLATCH"), and of course, you should always consult the manuals for both the vehicle and the child restraint before you start an install. Last edited by UlrikeDG; 12-23-2008 at 01:28 AM. Reason: Clarity + photos. Evenflo Symphony Review - Automated Feed from the Official Car-Seat.Org Blog! Quick Reviews: Evenflo Symphony and GoGoBabyz Infant Cruizer - Automated Feed from the Official Car-Seat.Org Blog! 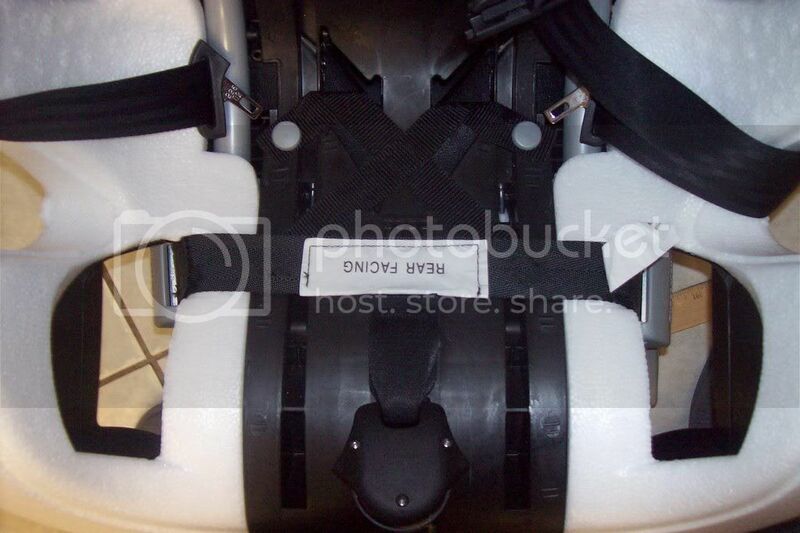 The New *Evenflo Symphony* Carseat - A Sneak Peek - Automated Feed from the Official Car-Seat.Org Blog!